A blog from Takehiko Ono that uses a manifest to create a local cache of frequently used images. 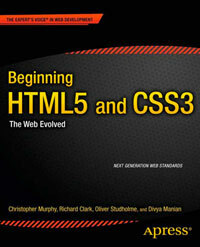 As far as site structure is concerned new HTML5 elements are used, although section is often used to wrap content and/or visually present it which is a job for div. The search input field at the top of each page could also have used input type="search". There is also an argument for using aside with nested sections for the area containing recent more entries (sic), recent comments and archives, as this area is related to the site as a whole.